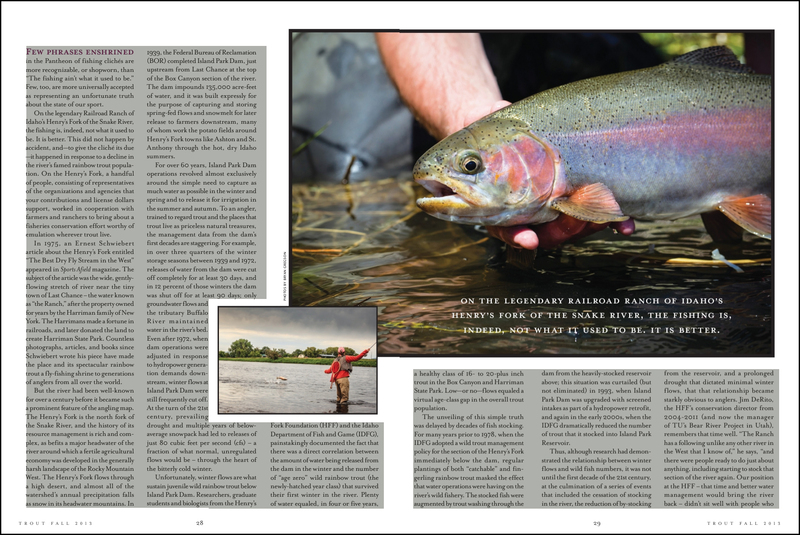 Happy to see a few of my images grace the pages of the fall 2013 issue of TROUT Magazine. I’ve been very fortunate as a photographer to work with legit professional anglers who really get it done. No fancy bells and whistles, no acting, just pure clean fishing and a lot of fun. I’m also lucky they are so patient with me! Here Patagonia Ambassador Millie Jo Paini doing what she does best, hooking fish on the mighty and technical Henry’s Fork River, Idaho.